Israeli settler gangs residing in the illegal Leshem settlement, in western Salfit, uprooted Palestinian olive trees, paving the way for settlement expansion. 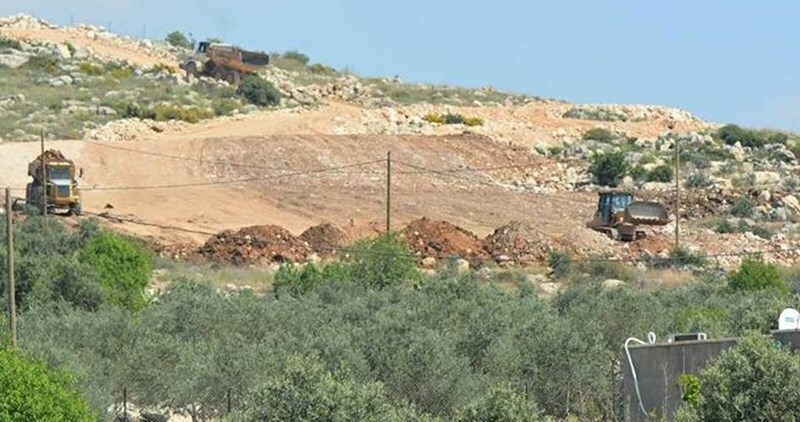 Palestinian farmers said Israeli bulldozers leveled their olive orchards in eastern Deir Balout town, to the west of Salfit, in an attempt to expand illegal settlement at the expense of their own lands. Researcher Khaled Maali said 130 illegal settlement units have been built in the Israeli Leshem outpost as part of a scheme to construct 700 units in the area. A home to 424 Israeli extremist settlers, the aforementioned outpost was furtively established in 1982 and announced in 2013 over an area of nearly 300 dunums, all seized from Palestinian native inhabitants. 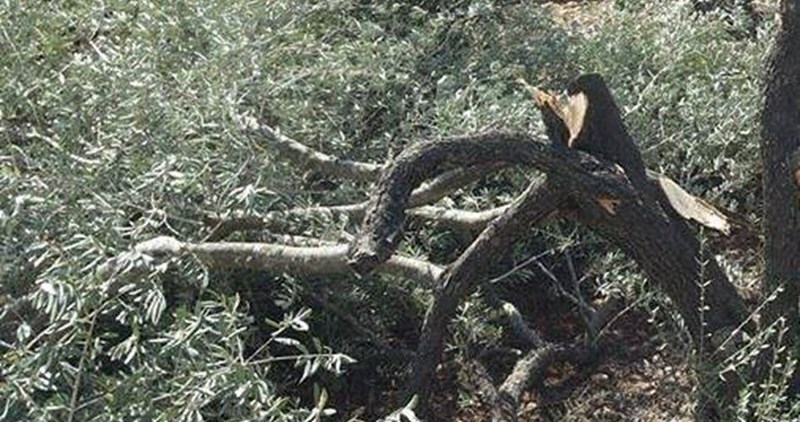 Remarkable damage was inflicted on Palestinian olive trees as the Israeli occupation forces (IOF) on Wednesday morning bulldozed a set of cultivated orchards in Wadi Foukin area, to the west of Bethlehem province. Reporting from the damaged fields, a PIC news correspondent said the Israeli bulldozers rolled into Wadi Foukin at 8 a.m. and leveled olive orchards covering an overall area of over 18 dunums. The assault comes just a few days before the start of the annual olive harvest season, one of the most vital sources of living for Middle Easterners, the Palestinians in particular. Olive season is one of the main links that connects Palestinians to their lands and embodies their resilience and identity. According to Palestinians, Palestine and olives are synonyms in the Palestinian lexicon. The olive harvest season is a cultural event in which Palestinian kids, women and elderly take part. The occupied West Bank produces one of the best kinds of olive oil in the world. According to Oxfam, there are around 9 million olive trees in the West Bank and the Gaza Strip. The Palestinians' harvesting of olive trees is confronted with the Israeli settlers’ theft, arson and vandalism of these trees. These settlers also confiscate olive trees and assault the Palestinian farmers to prevent them from reaching their fields. Such Israeli practices aim to wipe out the Palestinian culture, represented by the deeply-rooted olive trees, especially as the Israeli occupation forces have uprooted around 1.5 million Palestinian olive trees since 1967. The reason behind this decline is the rise of temperature, according to Al Jabi. Furthermore, the even years generally have a better harvest than the odd years. According to the Palestinian Central Bureau of Statistics, the olive trees and oil represent 15% of the value of agricultural production in Palestine, which is equal to a billion dollars a year. As the harvest season approaches, Palestinian farmers are concerned about the increase of Israeli settlers’ attacks on the Palestinian farms and farmers. 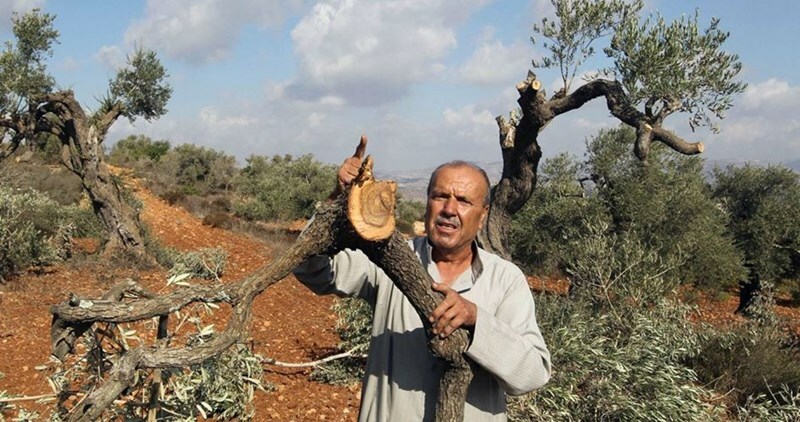 Nimr Zuhdi, a Palestinian farmer from Khirbat Yanun, south-east of Nablus, stated that the Palestinian farmers are insistent on reaching their lands on harvest time despite all the jeopardy imposed by Israelis. Zuhdi pointed out that the Israeli settlers intercept the Palestinians during the harvest season and let their trained dogs loose to attack them. They also steal the olives after they are harvested under the protection of Israeli soldiers and police. Zuhdi called upon the official agencies to take up their responsibility and confront the Israeli targeting of Palestinian lands that harm the Palestinian livelihoods. Abu Omar, head of the Palestinian Agricultural Relief committees in Nablus, expressed his concern over the approach of the harvest season as Israeli forces and settlers are used to pursuing and abusing Palestinian farmers each year. He confirmed that the committee is gathering volunteers to make campaigns to protect the Palestinian farmers. Abu Omar stated that the IOF prevents the Palestinian farmers from reaching their lands in the harvest seasons, at the pretext that they are closed military areas. 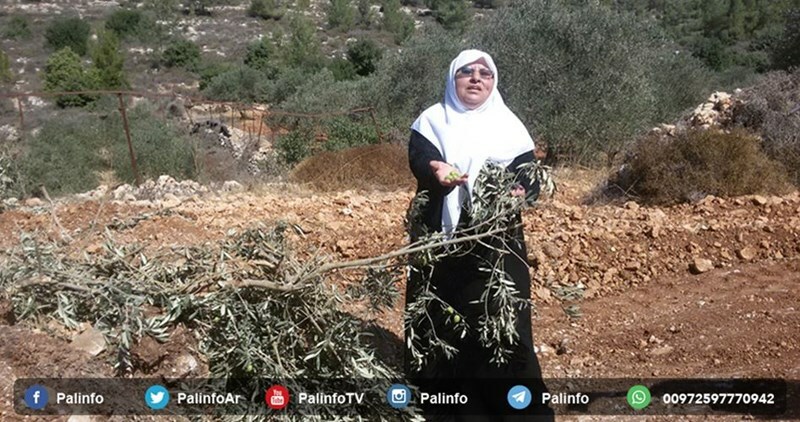 He added that the Israeli violations never end but they escalate in the olive harvest season. He also called on the Palestinian schools, universities and institutions and on Arab and foreign activists to support and take the side of Palestinian farmers in face of the Israeli unjust practices. A chain of abrupt sweeps launched by the Israeli occupation forces (IOF) across the West Bank on early Tuesday culminated in random home break-ins and arbitrary abductions of Palestinian civilians. A PIC news correspondent said the IOF rolled into Jenin’s southern town of Qabatiya at predawn time and came down heavily on Palestinian civilians. The IOF forced the native inhabitants of Qabatiya out of their homes and subjected them to exhaustive questioning. The occupation troops further ravaged commercial shops in the area after they smashed their entrance doors. Violent clashes burst out in the area shortly after the IOF set fire to the Abu Heshma shops for construction materials. Two Palestinian youngsters were kidnapped by the IOF from their own family homes in the process. Meanwhile, the Israeli occupation police unleashed heavy barrages of bullet fire on Palestinians driving near the illegal Israeli settlement of Ariel, to the north of Salfit province, on allegations of an anti-occupation car-ramming attempt. The Israeli occupation army and police troops have been scouring Salfit villages in search for the alleged car. Another Israeli army patrol broke into the Arroub refugee camp, to the north of the southern occupied West Bank province of al-Khalil, and kidnapped the two Palestinian youngsters Muhammad Nabeel al-Qeiq and Omar Amjad Hadoush after they rummaged into their family homes. 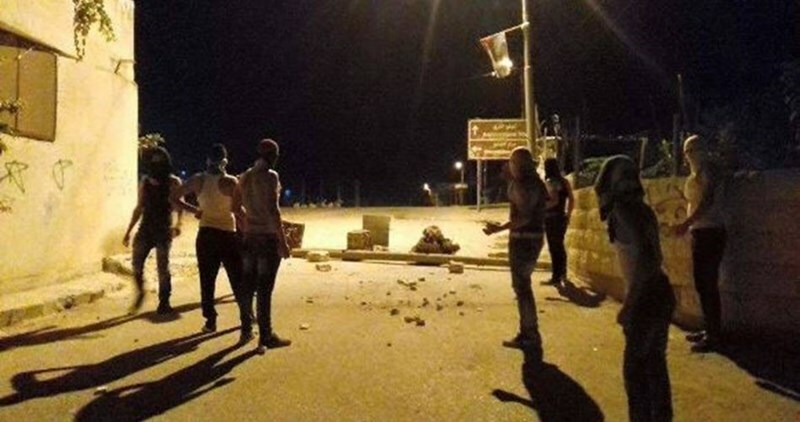 Tension has also been broiling in Nablus after a flock of three Israeli military squadrons raided Beit Fourik, to the east, and Beita, to the south, at the break of dawn. Israeli soldiers invaded, on Tuesday at dawn, the al-Arroub refugee camp, north of the southern West Bank city of Hebron, and kidnapped three Palestinians. The soldiers also demolished four water wells in Sa’ir town, north of Hebron. 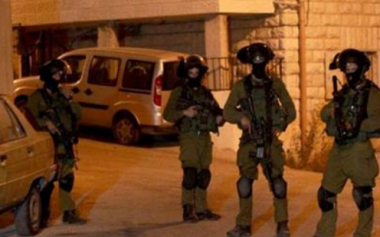 The Hebron office of the Palestinian Prisoners Society (PPS) said the several army vehicles invaded the al-‘Arroub refugee camp, north of Hebron, searched many homes and kidnapped three Palestinians. The PPS said the kidnapped have been identified as Odai Salama al-Jondi, Mohammad Nabil al-Qeeq and a college student, identified as Amro Amjad al-Haddoush. The camp has been recently subject to nighty invasions, violent home searches and many abductions carried out by the Israeli army. In addition, the soldiers invaded Sa’ir town, and demolished wells used by local farmers and shepherds for irrigation and for their livestock. Local sources said this is the second time the soldiers demolish wells in the same area in nearly 45 days, as the army also demolished residential sheds and barns. The demolished wells belong to Ziad Mahmoud Shalalda, Ahmad Mohammad Shalalda, Ibrahim Mohammad Shalalda and Nabil Abdul-Hadi Shalalda. The Israeli occupation army on Monday morning bulldozed a junkyard and agricultural structures belonging to Palestinian citizens in different areas of Nablus province. Photojournalist Mahmoud Shahada said that Israeli bulldozers escorted by soldiers demolished a container in a yard for junk vehicles in Huwara town, south of Nablus. Shahada, who witnessed what happened, added that an Israeli officer ordered the owners, Osama Shahada and Salama Hammad, to remove all wrecked vehicles and scrapheap from their yard. 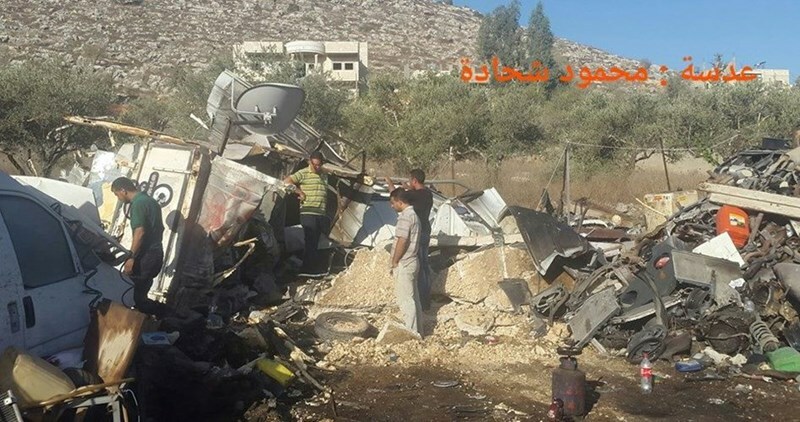 The Israeli army also knocked down, without prior notice, agricultural structures containing livestock feed and farming equipment in Beit Dajan town, east of Nablus. Israeli bulldozers moved from Leshem illegal settlement and levelled Palestinian-owned agricultural lands in Deir Ballut town west of Salfit. Local sources affirmed that the bulldozers leveled large areas of olive groves. 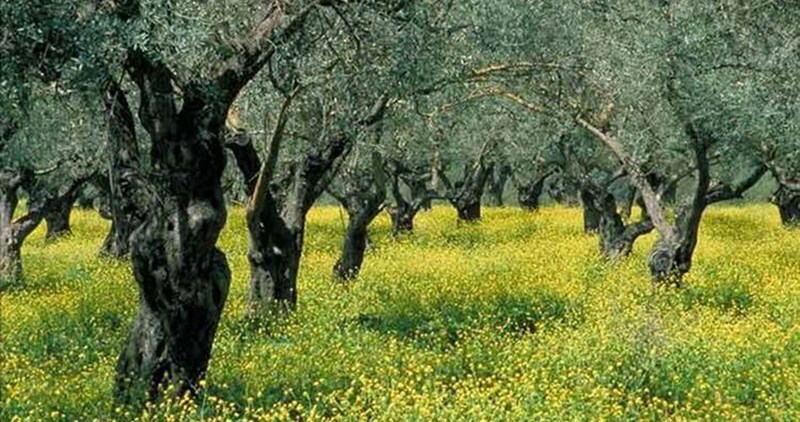 Local farmers immediately rushed to the area in an attempt to prevent the destruction of their olive trees. Leshem settlement was illegally built at the expense of Deir Ballut, Kafer Deek, and Rafat town lands and continues to expand at the expense of the neighboring agricultural lands. Coordinator for the national anti-settlement committee in southern al-Khalil, Rateb al-Jabour, said the Israeli occupation army broke into the al-Daqiqa nature reserve in Yatta, removed barbed wire surrounding the area, and leveled vast land tracts covering an area of over 100 dunums. According to al-Jabour, the Israeli forces threatened to devastate the reserve upon three earlier occasions on claims of surpassing the border fence. He added that the nature reserve was built some eight years ago with the help of foreign charities and is planted with 5,000 unfruitful trees. The reserve also includes eight wells for amassing rainwater. The Israeli occupation authorities and military forces have often razed Palestinian natural resources and nature reserves to the ground in an attempt to destabilize the ecological balance across the occupied Palestinian territories and force the locals to abandon their native lands.